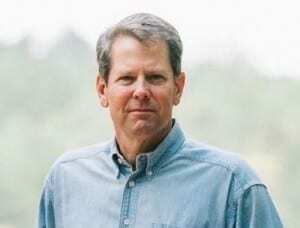 DAWSONVILLE, Ga. – Dawson County proved to be Brian Kemp country Tuesday as the Secretary of State easily defeated Lt. Gov. Casey Cagle in the Republican primary runoff race for governor. Kemp received 2,057 votes to Cagle’s 1,066. In the other statewide races Dawson Countians gave the nod to Geoff Duncan over David Shafer in the race for lieutenant governor. Duncan tallied 1,686 votes to Shafer’s 1,232. Brad Raffensperger outpolled David Belle Isle in the secretary of state’s race and in the Democratic Primary for State School Superintendent, Otha Thornton, Jr. defeated Sid Chapman 44 to 20.